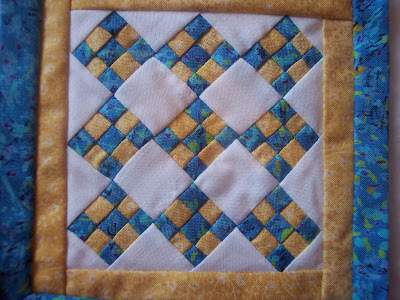 Spent sometime sewing with some scraps I had. Basic 9 patches, set on ends. 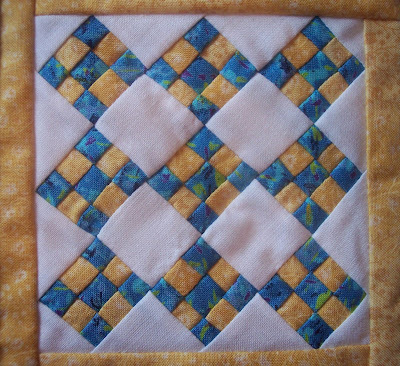 I did it in strip piecing, cutting strips 3/4" wide. 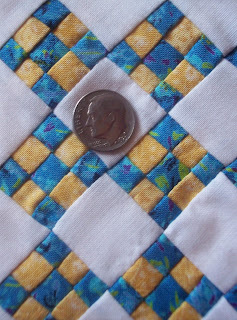 The finished quilt is 4 1/2" x 4 1/2"